Andrew Feenstra, 87, of Beaverdam, passed away on Wednesday, February 7, 2018. Andrew was born in Beaverdam on October 28, 1930, to Henry and Margaret (Diepstra) Feenstra. He was a lifelong member of Beaverdam Reformed Church. Andrew served his country in the U.S. Army during the Korean War. He married Esther DeGraaf in 1955 and they raised their two children together in Beaverdam. Andrew loved driving truck and was the first driver hired at ALTL. He retired in 1996, but continued to drive truck occasionally for several years. Andrew was preceded in death by his siblings: Fran Jeurink, Joanne Ensing, Mel Feenstra, Marv Feenstra. 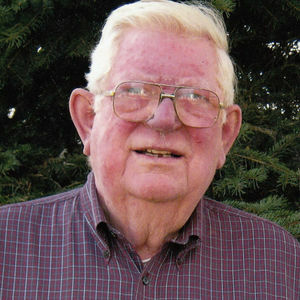 He is survived by his wife of 61 years, Esther, their children and grandchildren: Ron and Chris Feenstra (Zachary, Jason) of Beaverdam, Sue and Steve Menken (Michelle, Ellen) of Beaverdam; siblings: Harv Feenstra, Phyllis Carlson, Betty Compagner; in-laws: Janet Tonsmiere, John and Alieda De Graaf, Marilyn and Al Bratt; and many extended family. A funeral service to honor the faith and life of Andrew will be held at 1:00 pm, Saturday, February 10, 2018, at Beaverdam Reformed Church, 7250 Ransom Street, Zeeland 49464. Visitation will be held at 4-7 pm, Friday also at Beaverdam Church. Interment will be in Beaverdam Cemetery. Memorials may be made to Laurels of Hudsonville or Kindred Hospice.